Yeah, I’m aware it’s just now starting to get cool outside here in Texas, but that doesn’t mean designer Resort 2012 pieces aren’t already becoming available online! 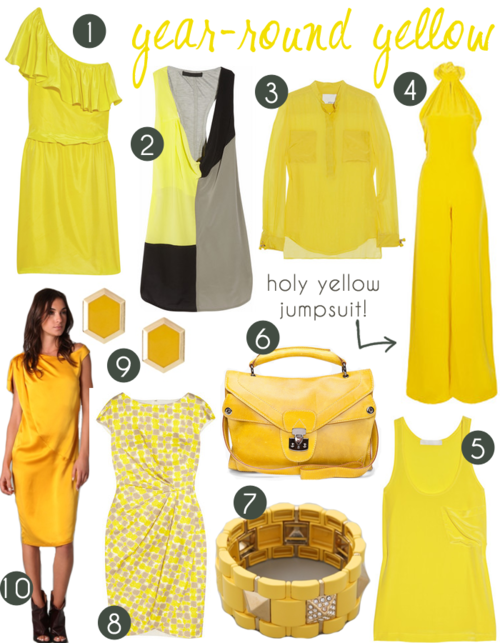 Yellow is a surefire hue this year – I’ve already covered the cool-weather mustard hues here, so check that out if that’s more up your alley. Here are a few brand new pieces for you to covet going into Resort season! Buy away!